The trinidad+tobago film festival (ttff) continues to juxtapose traditional Carnival with the modern in its Carnival Film Series, which on Tuesday 5 February will be at Trevor’s Edge Bar in St Augustine from 7pm. International Power Soca Monarch finalist Lil Bitts will make a guest appearance to perform live after the film screenings of Jab: The Blue Devils of Paramin and five film portraits of traditional Carnival characters by Yao Ramesar. Trevor’s Edge, located at St. John’s Road in St. Augustine, continues to be one of the most popular venues for the ttff’s community screenings. Audience attendance usually exceeds 200 patrons and to accommodate the great numbers the ttff provides simultaneous indoor and outdoor screening options. The works of two prolific local filmmakers will be featured at this screening, paying homage to fading traditions in the contemporary Carnival landscape. Alex de Vertueil’s dynamic Jab: The Blue Devils of Paramin takes place in the weeks leading up to Carnival. 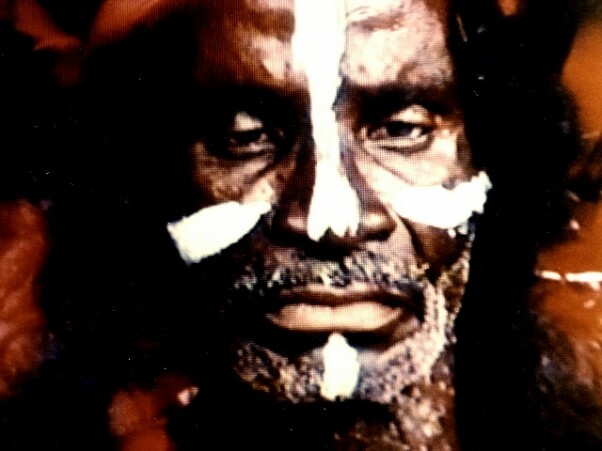 The 47-minute documentary follows Kootoo, King Devil, as he prepares with his three brothers to once again win the village competition for the most convincing devil band. Known for his athletic prowess, and given to extraordinary feats like ripping up trees and scaling tall buildings, the charismatic Kootoo must still work hard with his band of devils to win the prize in the face of serious competition from a new generation of “jabs”. Yao Ramesar’s film portraits of the minstrel lady, bat, midnight robber, black Indian and the fire dance pay touching and insightful tribute to five traditional Carnival performers renowned for their authentic, yet idiosyncratic characterisations of traditional mas. Lil Bitts’ live performance—which will include “Raise de Dust”, a strong contender in the Power Soca Monarch finals—will follow the films. Lil Bitts, aka Shivonne Churche, was excited about the ttff’s Carnival Film Series and offered to perform at the Trevor’s Edge event presentation because she appreciates the role that Carnival traditions play for emerging, modern artistes. “Our traditional Carnival is the platform from which today’s mas and music has been built and is the source of my inspiration,” she says. The screening at Trevor’s Edge marks the end of the public screenings for the Carnival Film Series, which is sponsored by the Trinidad and Tobago Film Company Limited. Admission to the screening at Trevor’s Edge is free, and food and drinks will be on sale.